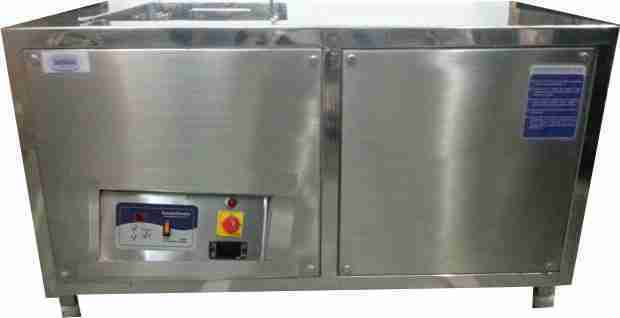 We have emerged as a dependable Manufacturer, Supplier of Ultrasonic Sonicator Bath With Chiller in Mumbai , India . 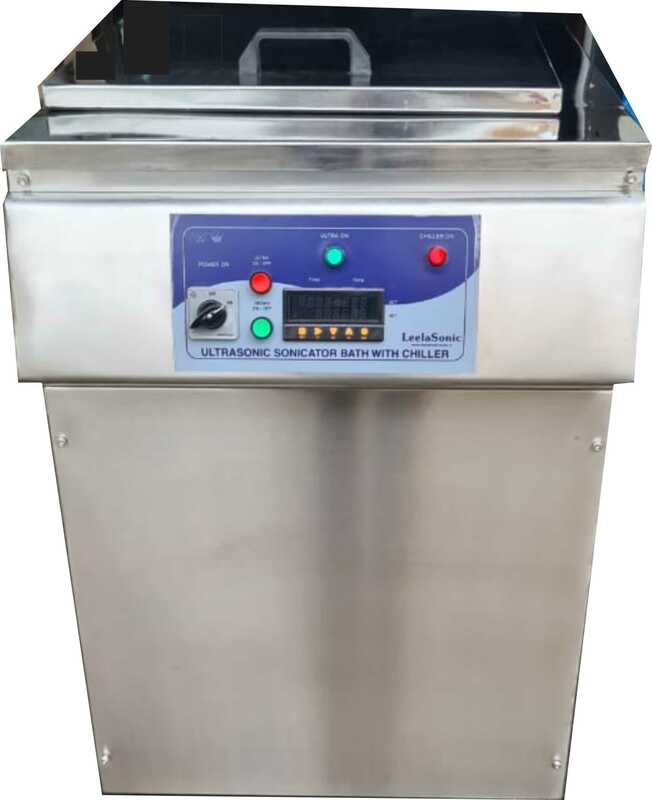 The Ultrasonic Sonicator Bath with Chiller, offered by us, is available in various grades and specifications as per the customer requirement. Ultrasonic Sonicator Bath With Cooling uses hi-tech Ultrasonic technology during the degassing at laboratory & R & D Lab . The Ultrasonic Sonication Bath with Chiller is used in pharma industries. Sonicator generates heat which may be harmful to some applications. Controlling temperature by adding ice chips and repeatedly changing water is no longer necessary. LeelaSonic Degassing Ultrasonic Bath Sonicator Bath with Chiller maintain the bath temp. 5 Deg. C & keep sample cool. Simply set the chiller to a desired temperature from 5 - 20°C and cold / chilled water will be re-circulate in the Ultrasonic Bath and it will keep the Ultrasonic Bath temp. cool / chilled with the help of chiller. Dessolve , disperse & emulsify samples. 21" X 9" X 4"
21" X 11" X 4"
25" X 15" X 5"
25" X 25" X 5"